NewYear, originally uploaded by bucklesw1. 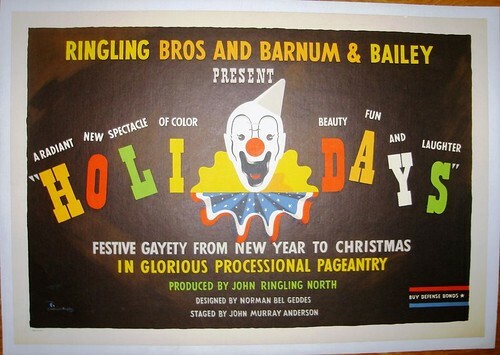 Ringling Barnum HOLIDAYS (1942) Half Sheet Flat - Linen, originally uploaded by bucklesw1. 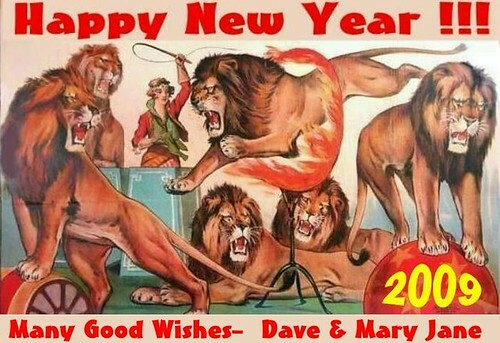 Here's wishing you and your readers "A Radiant New Spectacle of Color Beauty Fun and Laughter" in 2009! SAVE0704, originally uploaded by bucklesw1. Since this is the time of year for parties, we will start off at Rosie O'Grady's years ago and play a game called "Watch the receeding hair line!" Scan11158, originally uploaded by bucklesw1. Joining the chorus line at a Big Apple party. Scan11157, originally uploaded by bucklesw1. Me and Greg DeSanto trying to pick up a couple of chicks. 100_0199, originally uploaded by bucklesw1. As seen at the Club last Saturday. 100_0197, originally uploaded by bucklesw1. A few more of my weather worn friends! Scan10095, originally uploaded by bucklesw1. 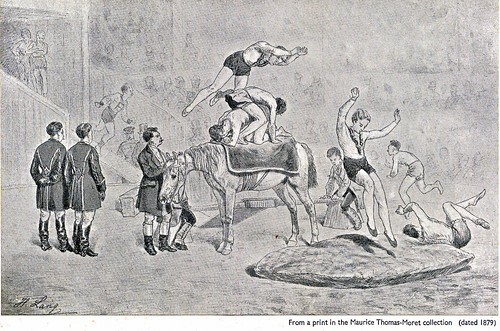 I was surprised at the comments on the back leg lift, a common trick in the days before Elephant Empresses. 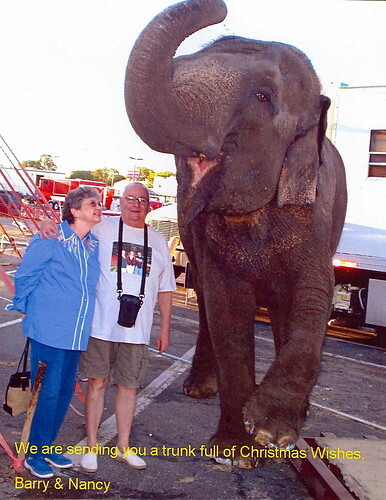 This is the same elephant 7 or 8 years later. !cid_E729998A752E4EAC97D8415F426E262E@fliaortef3f74c, originally uploaded by bucklesw1. 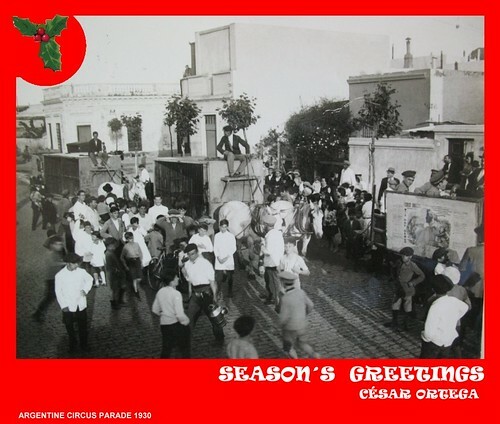 Attached is an Xmas card (with a 1930 picture) that I received from Dr. Ortega in Argentina. 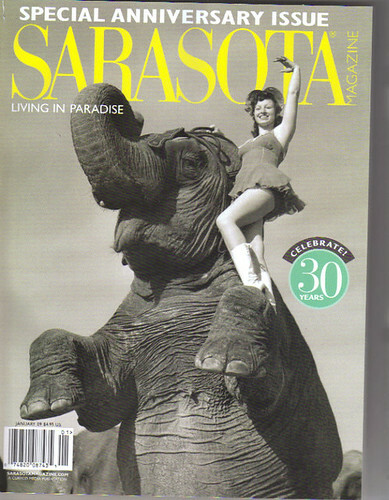 sarasota Mag., originally uploaded by bucklesw1. Scan11145, originally uploaded by bucklesw1. 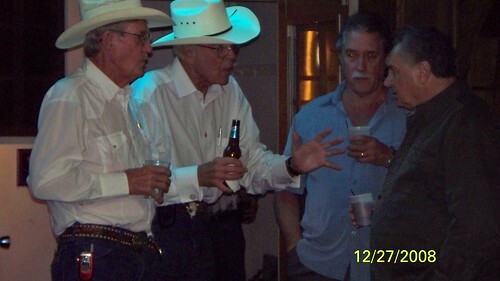 Jimmy Cole sent me this remarkable picture years ago. Looks like it was taken yesterday in Disneyland. 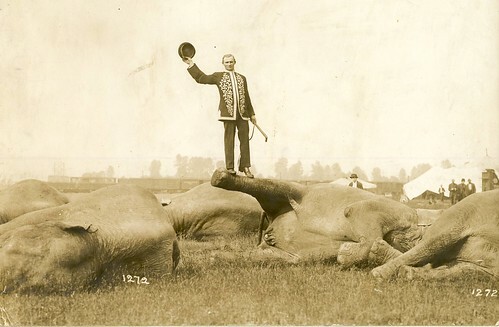 On the horse at left is Edouard Souder, the young African is "Fannie" one of the first two elephants owned by the Ringlings, purchased in 1888 when the show still moved overland. 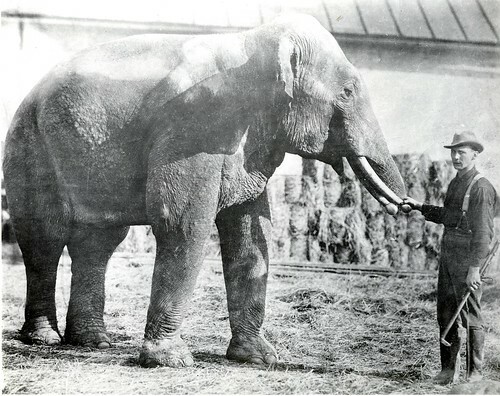 With the exception of the Lockhart elephants, the Ringling Show never had many tuskers, the young one seen here is "Prince". Scan11138, originally uploaded by bucklesw1. This is "Prince" about 10 years later in Baraboo with Chris Zeitz. Scan11141, originally uploaded by bucklesw1. 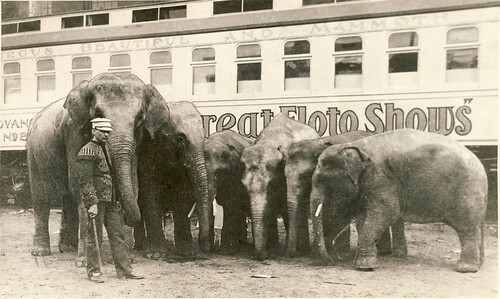 The Great Floto elephant herd when Chris Zeitz arrived to take over in 1905, seen standing in front of the Advertising Car. 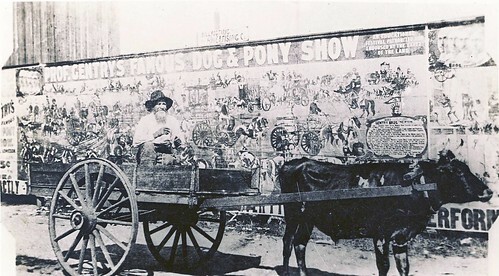 The man at left looks to be his long time assistant Fred Alispaw. "Mom", "Trilby", "Floto", "Alice", "Frieda" and "Snyder". 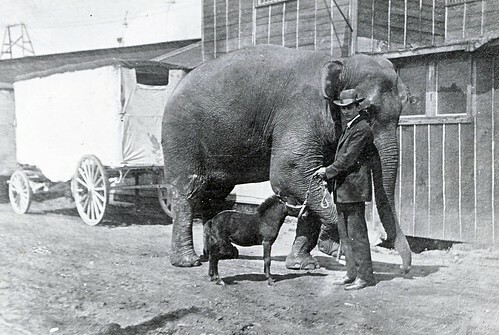 "Mom" was the show's first elephant purchased in 1903 the five punks arrived at various times in 1904." Scan11143, originally uploaded by bucklesw1. Chris Zeitz with "Mom" or "Mama Mary" as Courtney Riley cooper called her in his writings. 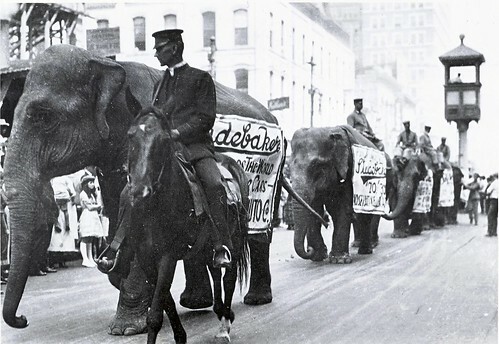 Mr. Riley made an issue of the fact that she had come from the Hagenbeck Zoo and only responded to German commands. Scan11144, originally uploaded by bucklesw1. Scan11140, originally uploaded by bucklesw1. 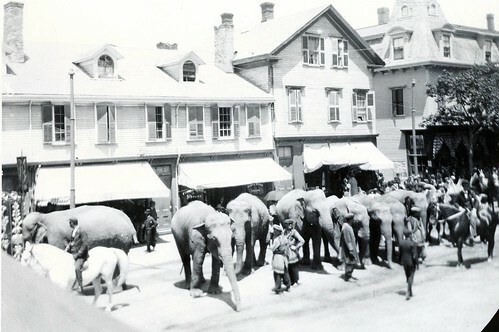 Great Floto herd on Parade. Scan11142, originally uploaded by bucklesw1. 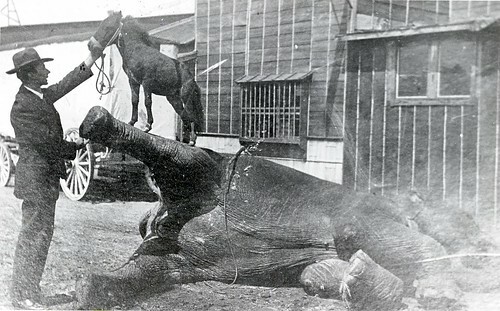 Taken about 1907 (now titled Sells-Floto) Chris Zeitz with "Frieda" and "Snyder"
He trained "Snyder" to do a hind leg walk which was later done on the Hippodrome track while a lady stood on one tusk. 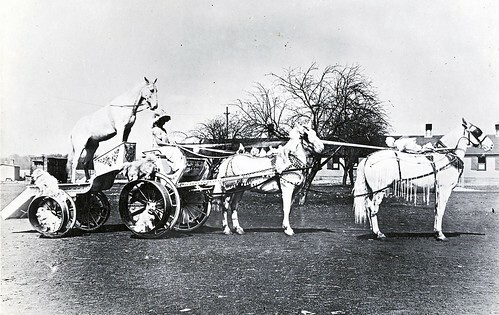 About 1915 he duplicated this trick with "Major" while with Mugivan & Bowers. Scan11139, originally uploaded by bucklesw1. 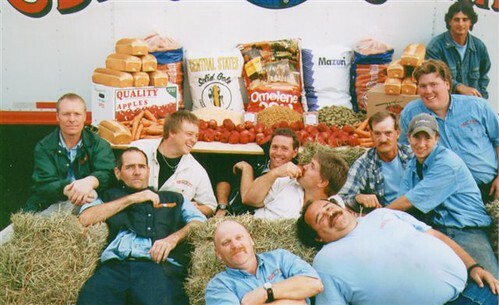 "Chris Zeitz Supt. 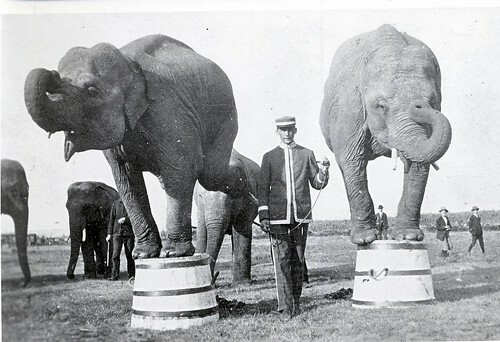 of Elephants and Menagerie with John Robinson Circus 1922. 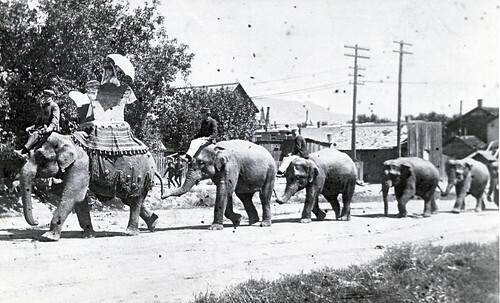 1st elephant "Betty". At the conclusion of the 1923 season Mr. Zeitz retired and purchased a ranch in Kissimmee, Florida where he died 1-5-53 at age 77. Scan11146, originally uploaded by bucklesw1. Does my, not as good as others, memory serve me here? Is this not Ella Bradna and "The Act Beautiful"? 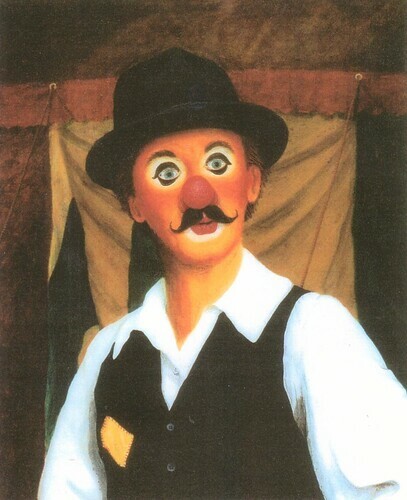 "At one time, there were a number of these type acts. The picture above shows Mlle Bradna's version." 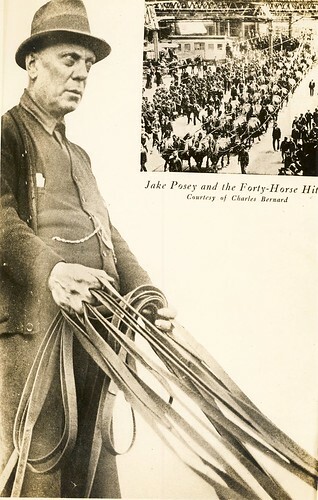 Jake Posey 1960, originally uploaded by bucklesw1. Scan11129, originally uploaded by bucklesw1. Scan11130, originally uploaded by bucklesw1. 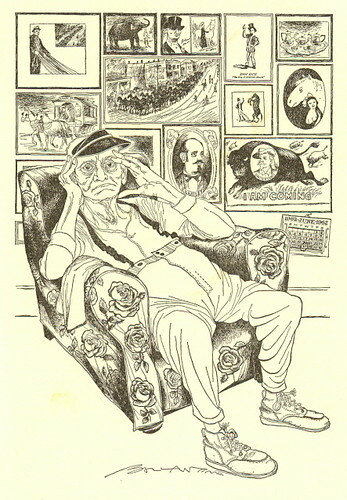 I lifted this sketch from a 1937-38 Bertram Mills program. Scan11131, originally uploaded by bucklesw1. 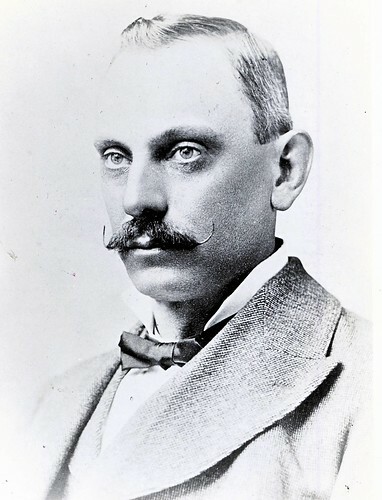 Mr. Posey at the age of 36. 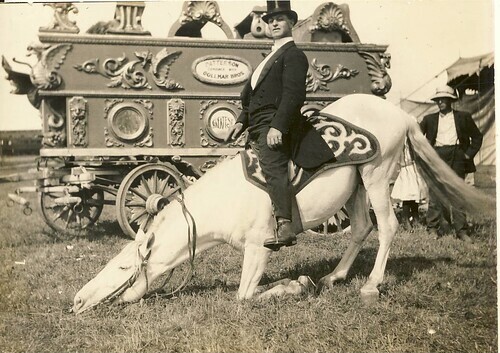 Photo taken in Cardiff, Wales during the Barnum & Bailey tour of Europe. Scan11132, originally uploaded by bucklesw1. Scan11134, originally uploaded by bucklesw1. Scan11133, originally uploaded by bucklesw1. This looks like a roman standing hitch with a single horse leading. Scan11137, originally uploaded by bucklesw1. 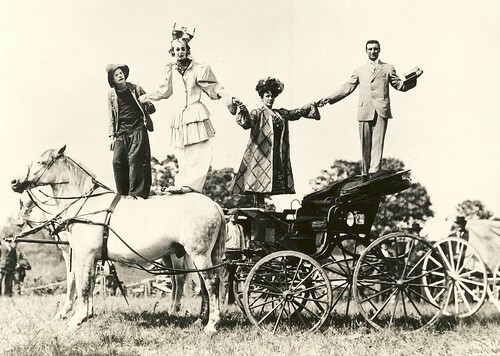 Dallie Julian and Fred Ledgett in the carriage. 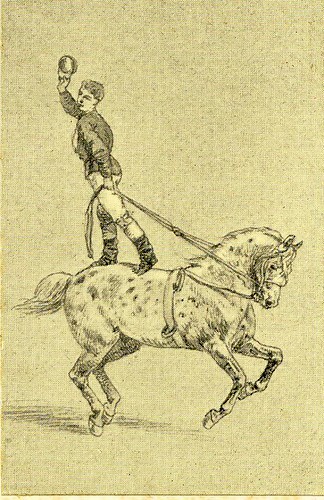 A reluctant Slivers Oakley standing on the horse's rump. Scan11136, originally uploaded by bucklesw1. Scan11135, originally uploaded by bucklesw1. This was called a "Beauty Cart" everything including the pigeons was white. certificate, originally uploaded by bucklesw1. Our condolences to Carlos and family. contact us. Due to the holidays we have not decided on dues as yet. SAVE1491, originally uploaded by bucklesw1. I have a series of photos of Ursulas Act from the Catwalk that might interest Henry Penndorf & a few tales to share as I did become very fascinated with Her & those Polar Bears . Neon Out of Makeup, originally uploaded by bucklesw1. It is with great heartache and extreme sadness that I write to tell you that my mom, Mary “Neon” Oliver lost her battle with cancer. She was surrounded by family when she passed at Georgetown University Hospital on December 20. I know in my heart that she is in a much greater place, but my life will never be the same. One of her last words spoken were “I am going to heaven”. There is a clown in heaven looking over all of us. 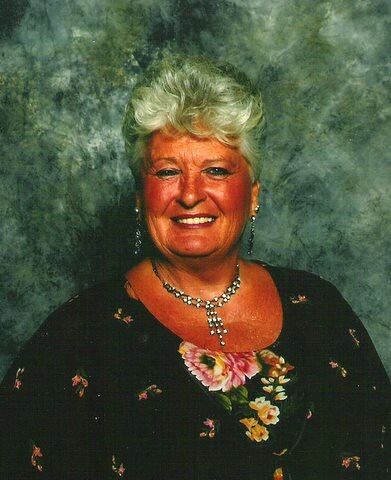 Funeral services will be held on Saturday, January 3, 2009, at 11 a.m. at Jesus the Divine Word Catholic Church, 885 Cox Road, Huntingtown, Maryland 20639; where friends may call one hour prior to the service. 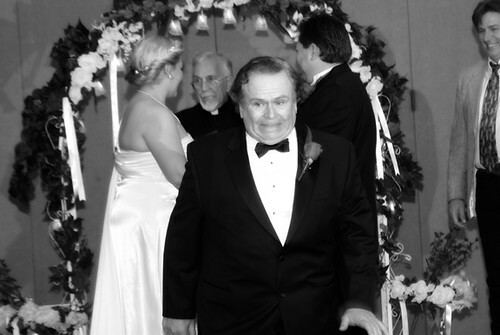 In lieu of flowers Memorial contributions may be made to the Kidney Cancer Association or the American Cancer Society. I am waiting to hear back from both organizations – more information will be forthcoming. Scan11124, originally uploaded by bucklesw1. Yesterday myself, Dalilah and Ron Morris were treated to a great afternoon at the Crab Trap Restaurant hosted by Frank Curry. Followed by another outstanding evening at the Sarasota Showfolks Club. Scan11126, originally uploaded by bucklesw1. 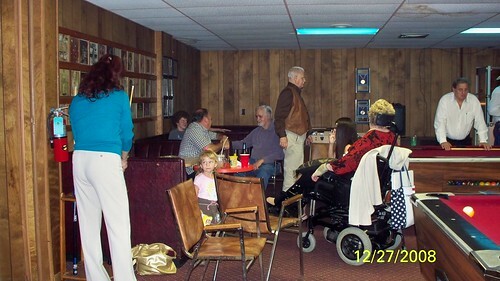 Last night was Gibsonton Showfolks night at the club with many visitors from that great city to the North. 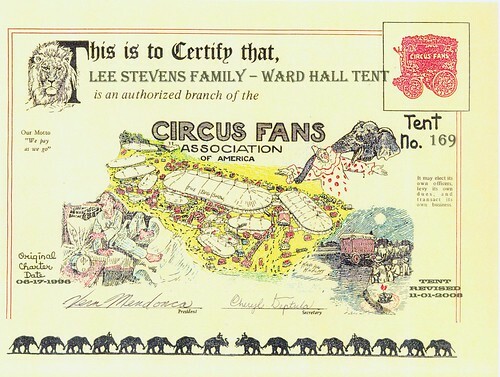 In particular were Lee and Judy Stevens and during a conversation the subject of the two Ringling Japanese tours came up and Lee regaled us with stories of his experiences on the 1989 tour. An unexpected surprise was the appearance of the James Plunkett family who are in Florida visiting John and Mary Ruth. I must say James and Weiner have some fine looking kids, all named for heroes of the Old West, Jessie James, Cole Younger and Belle Starr. Scan11128, originally uploaded by bucklesw1. Scan11125, originally uploaded by bucklesw1. Ursula Bottcher.21 - 1978 GDR Postage Stamp, originally uploaded by bucklesw1. Here is the Postage Stamp that I spoke of. 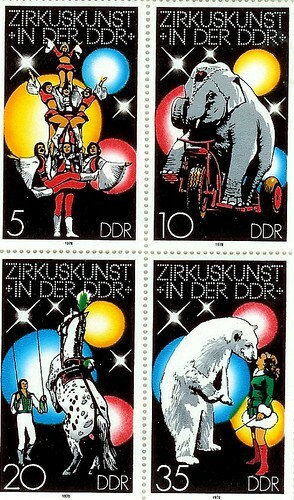 The commentorative Postage Stamps were issued in 1978 by the East German Government. The one in the lower right hand corner honors Ursula Bottcher and the "Todekuss" or "Zuckerkuss" part of her act. 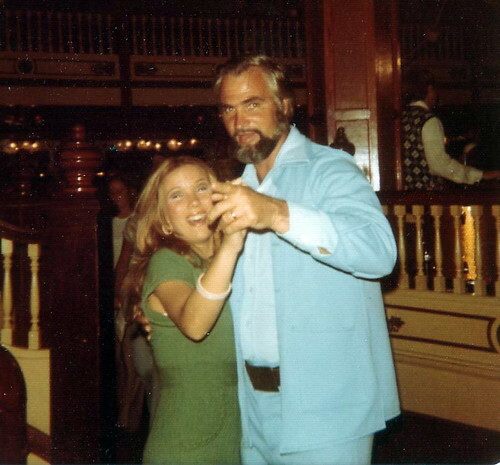 The dreaded "Kiss of Death"
scan0065, originally uploaded by bucklesw1. Christmas Card 2008, originally uploaded by bucklesw1. Certainly wanted to wish the Woodcock & Williams families a Merry Christmas and a Happy, Healthy New Year. PS Thanks to Mike and Carolyn Rice for the loan of the camel. Elephant Stepped on Pocket-Book, originally uploaded by bucklesw1. 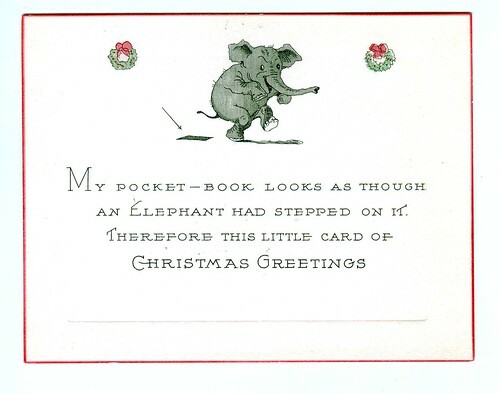 The Elephant Stepped-On Pocket Book. 100_1695, originally uploaded by bucklesw1. 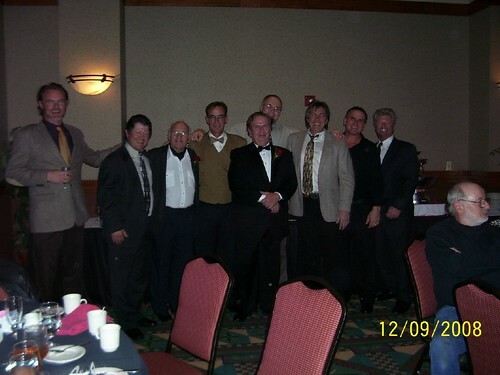 Here is the elephant man group photo from the Hall/Burck wedding. Jimmy_6794bw, originally uploaded by bucklesw1. "Does anyone wish to speak before I declare this couple husband and wife?" 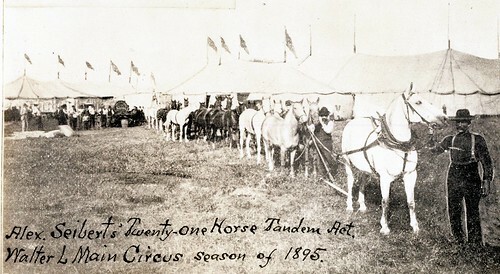 HippodromeShow, originally uploaded by bucklesw1. A little research and I answer my own question! 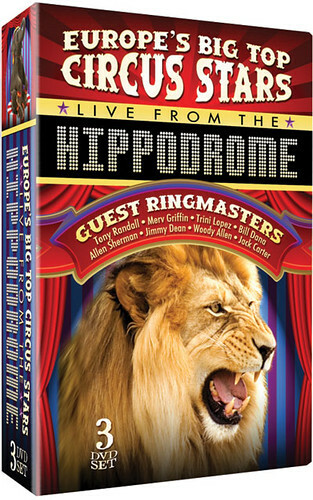 I also found "Hippodrome" as well as this 6 episode Super Circus DVD. 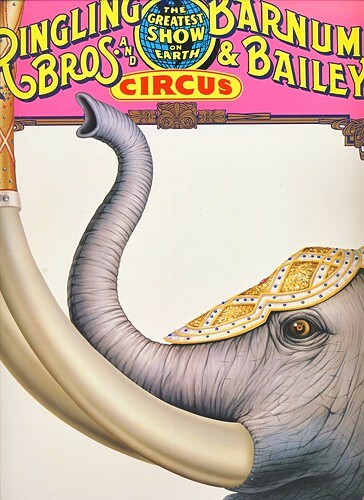 I seem to recall a circus TV show that aired here in the USA in the late '60s. 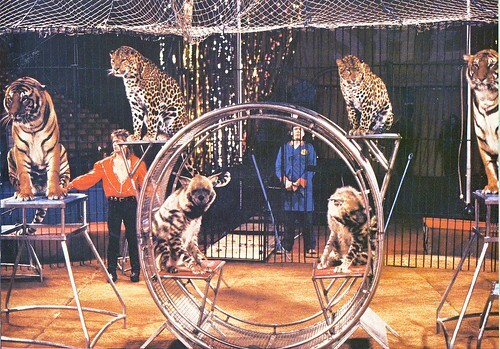 I remember seeing many acts on the show that I was familiar with, including the Albert Rix Bears and the Circus World Museum 12 pony act presented by John Herriott. Not sure if it is the same show that the DVD is from. 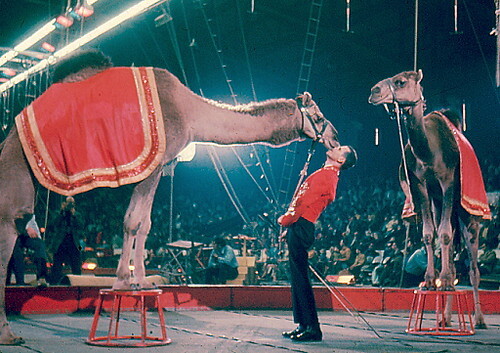 "Hippodrome" claims to be acts from Europe" while the show I recall came out of the USA. The TV hosts listed all are well known American TV personalities from that era. Does any one else recall that show? It might have been called "Colosseum" ? Buckles, didn't you work on it? Has anyone seen this DVD yet? Both are available on Amazon.com. 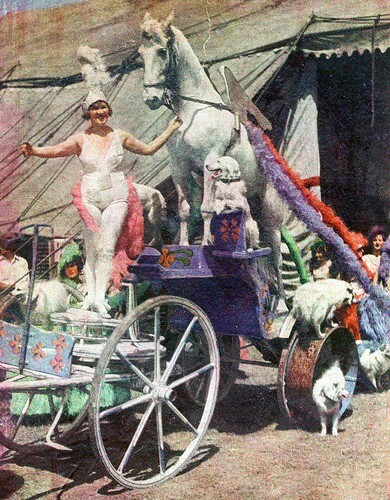 Super Circus, originally uploaded by bucklesw1. DSC_0118CHRISTMAS, originally uploaded by bucklesw1. elephant 3, originally uploaded by bucklesw1. 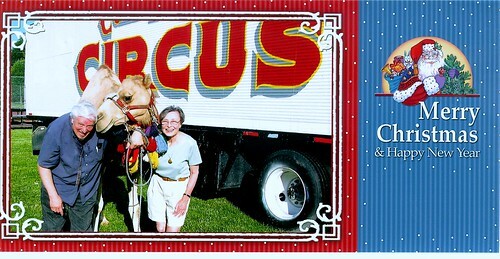 To all who love Buckles Blog as much as we do. 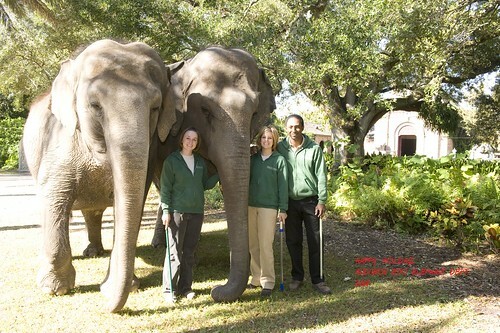 We send you a trunk full greetings for this holiday season. Scan059,January02,2004, originally uploaded by bucklesw1. This picture was taken in Tampa Fl. 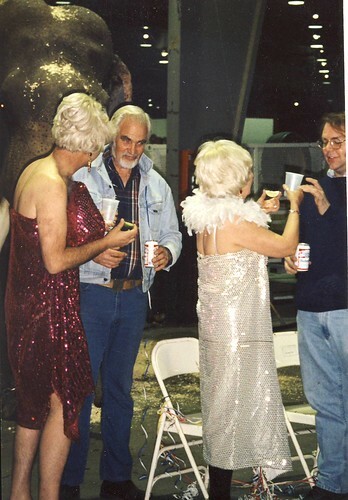 at the State Fairgrounds on January 2000 just before I left Ringling for taking over the elephant on Clyde Beatty Cole Bros.
Scan11123, originally uploaded by bucklesw1. Ole Whitey will enjoy these, depicting the two most important people in town, the Blacksmith and the Mayor. 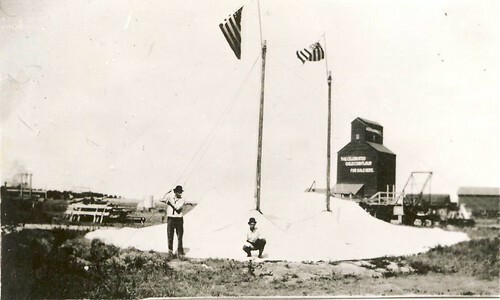 Notice the Walter L. Main poster in the background, dated May 11. Scan11122, originally uploaded by bucklesw1. 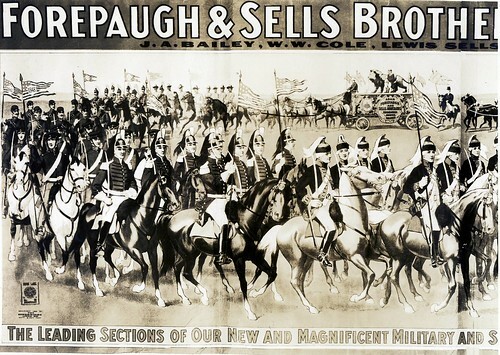 A stand of 1900 Gentry paper (32 sheets). Scan11120, originally uploaded by bucklesw1. 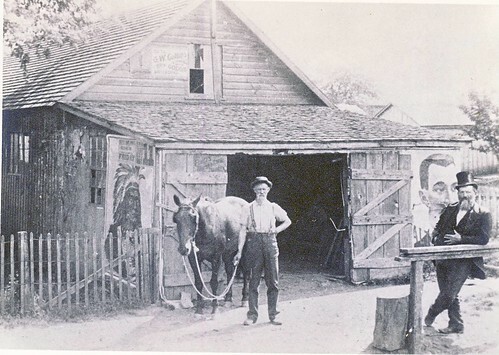 These next two pictures are unidentified but bear the date 1910. As you can see they have started with the side wall on the round end.